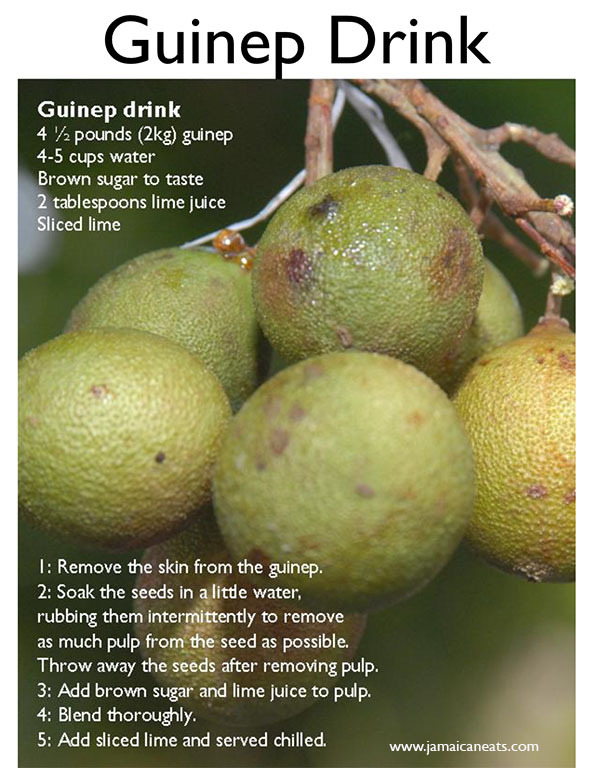 Remove the skin from the guinep. Soak the seeds in a little water, rubbing them intermittently to remove as much pulp from the seed as possible. Throw away the seeds after removing pulp. Add brown sugar and lime juice to pulp.